If you’re leading a busy and stressful life, there’s something you can place in your home or even set on a desk in your office or cubicle that’s not only trendy but therapeutic. 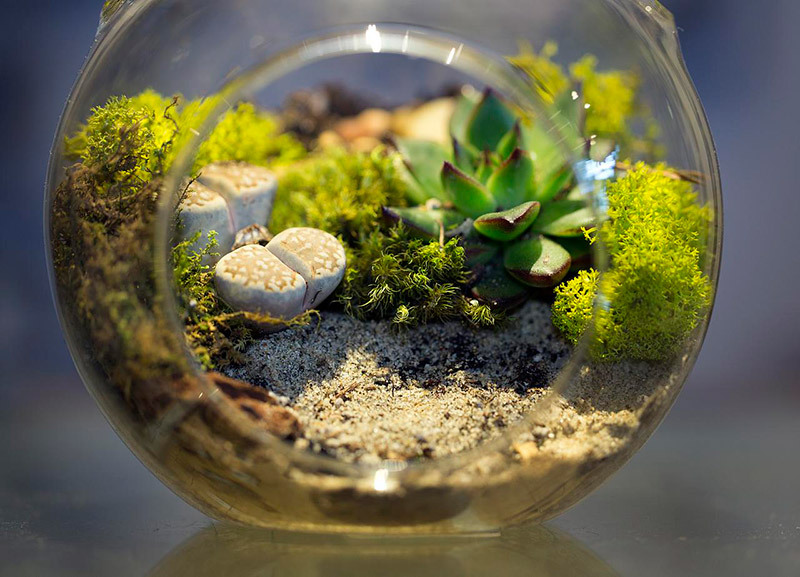 A terrarium. 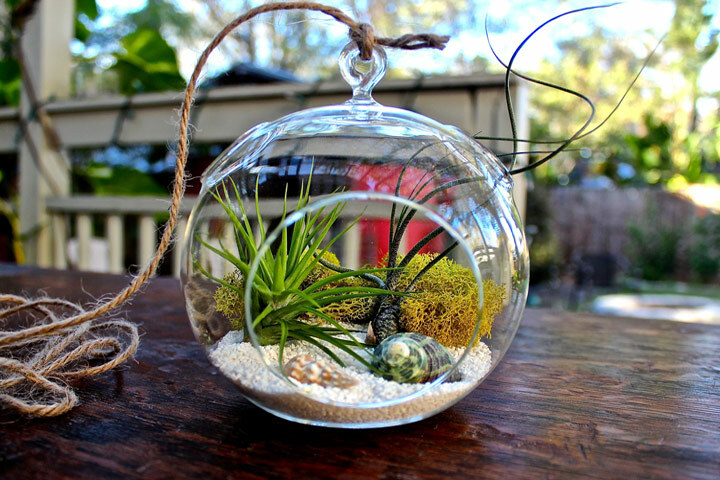 When creating a tranquil and soothing garden in a glass, you’ll have to address two questions up front: What kind of terrarium do you want and what are the best plants to put in it? 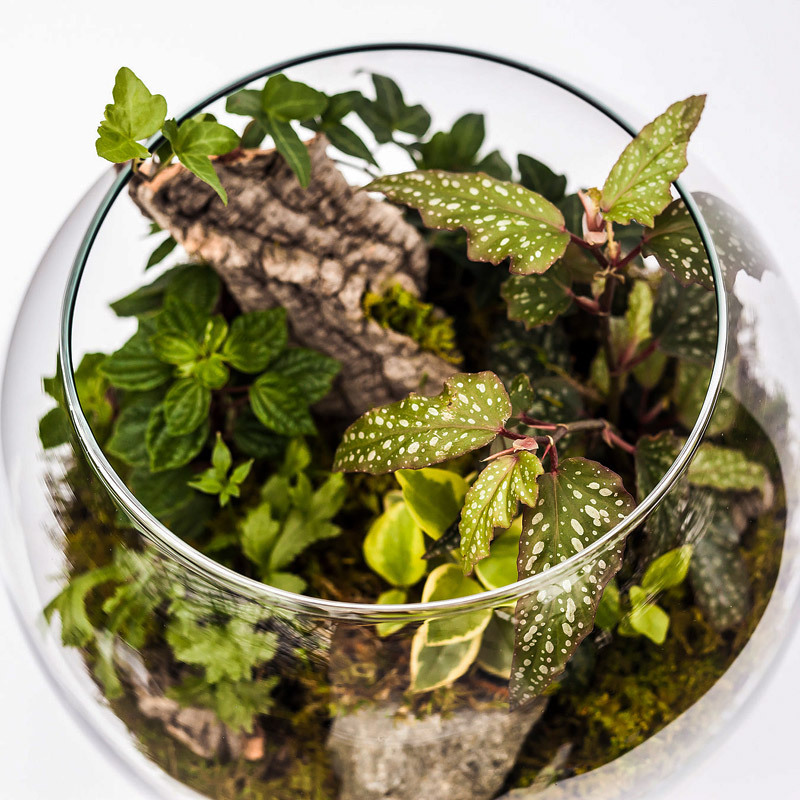 There are other types, such as orchid terrariums, aquatic terrariums and carnivorous terrariums, but, those aren’t as common because they require more maintenance and very specific conditions, such as the amount light the plants in them will receive. Desert, tropical, and woodland terrariums are easier to maintain, and you can combine lots of different plants in one container, which can be fun! That leads to the second consideration: What type of plants to select for the terrarium of your choice? When choosing plants for a terrarium, think about height, texture and color. Using different heights can create nice levels that mimic the shapes of a natural habitat and also give good hiding places for little objects such as figurines or crystals. 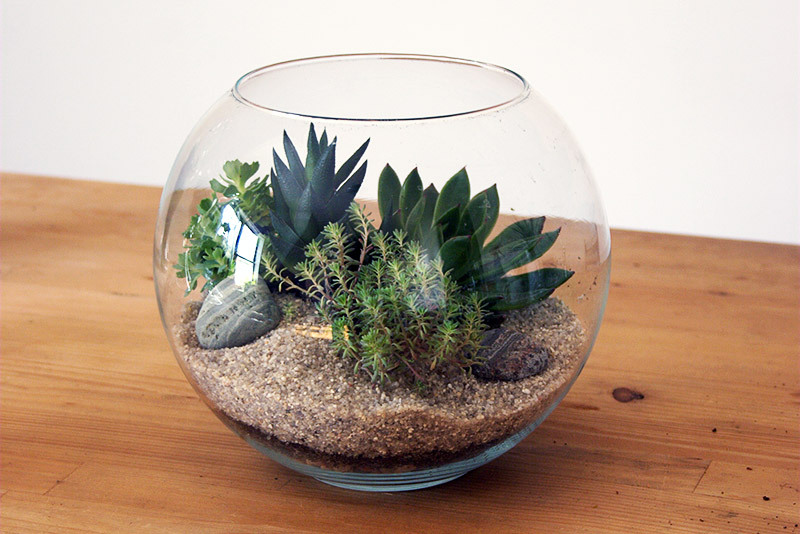 On the other hand you can use just one plant type and keep the terrarium very simple, kind of like a zen garden! To help you get started, here are our suggestions for 15 great plants for desert, tropical and woodland terrariums. What to put in desert terrariums? Plants in these terrariums take full sun and should become totally dry between waterings. 1. Haworthia (zebra aloe) – A very sculptural and slow-growing plant, it’s also tolerant of lower light than most other succulents. 2. Jade plant – Easy to grow from small cuttings or leaves, lots of people like the “Zen” kind of feeling it provides. 3. Echeveria – Most varieties grow in a very eye-catching circular pattern, which can make a good focal point for a terrarium. 4. 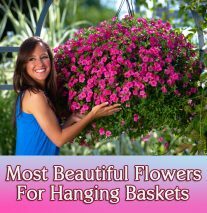 Kalanchoe – Varieties come in lots of shapes and sizes, most of which produce flowers at least once a year. 5. Lithops – These are the easiest succulents to maintain. 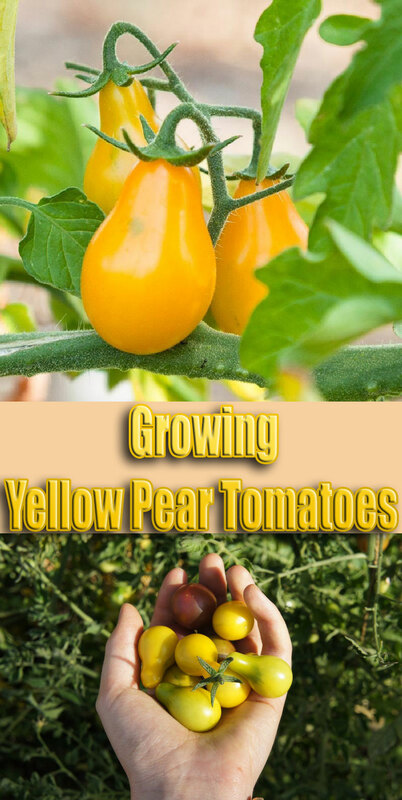 They’re very drought-tolerant, slow-growing and they stay low to the soil, ideal for those people who don’t like to prune their plants. What to put in tropical terrariums? 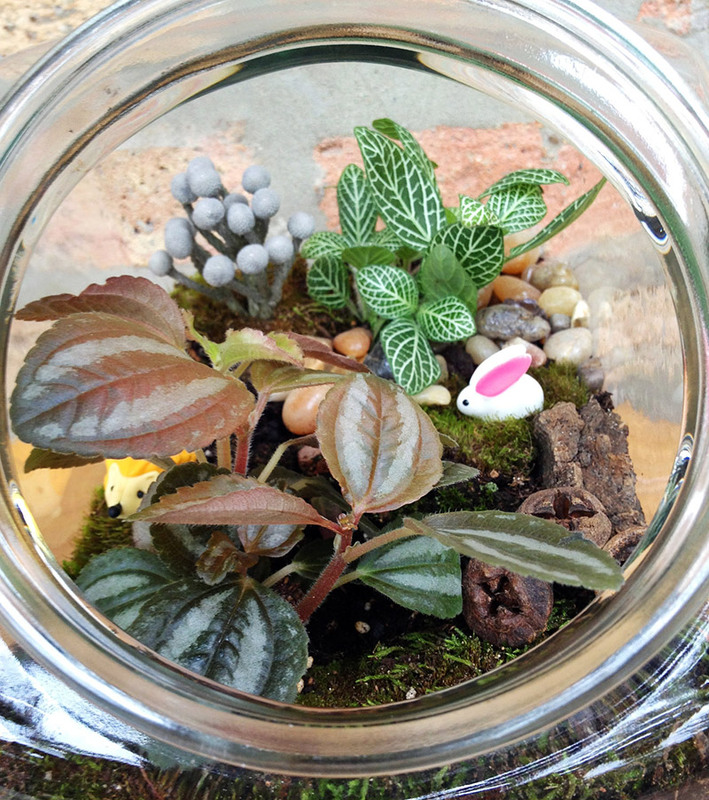 Plants in these terrariums take medium light and can become slightly dry between waterings. 6. Philodendron – There are lots of varieties regarding leaf shape and color, and all varieties give an instant tropical feel. 7. Pothos – A good substitution for ivy. 8. Peperomia – There are tons of varieties for leaf color and a really amazing array of choices for textures. 9. Neanthe bella palm – This is one of the few palms that is available in a terrarium-sized plant. 10. Ficus elastica – The thick, shiny, purple leaves can add a nice contrast to the jungle green of the other tropical options. What to put in woodland terrariums? 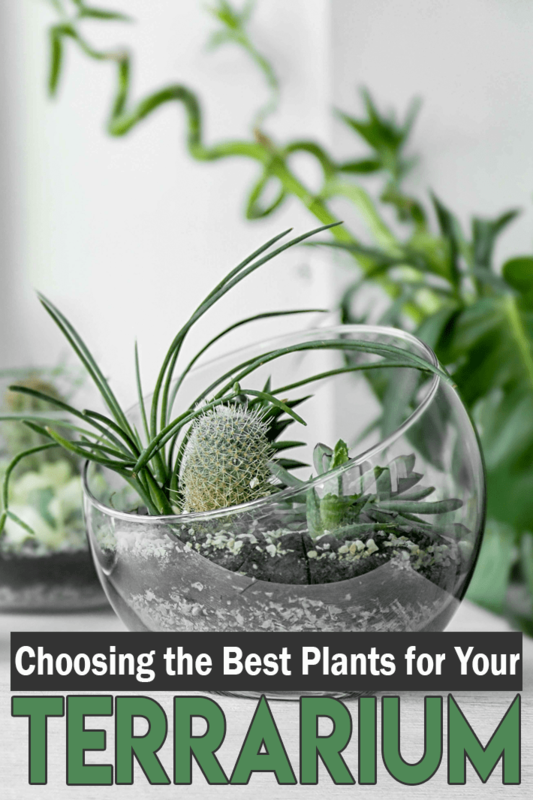 Plant choices in these terrariums can take medium/low light, high humidity and lightly moist soil. 11. Ferns – They are appreciated for their soft feathery leaves. 12. Selaginella – Selaginellas offer interesting variations in textures and color. 13. Moss – This is the ultimate in woodland aesthetic. Humidity is an absolute must with moss. 14. Fittonia – Better known as nerve plants, these leafy plants are available in pink, red or white with green veins. This is a good choice for an air purifier. 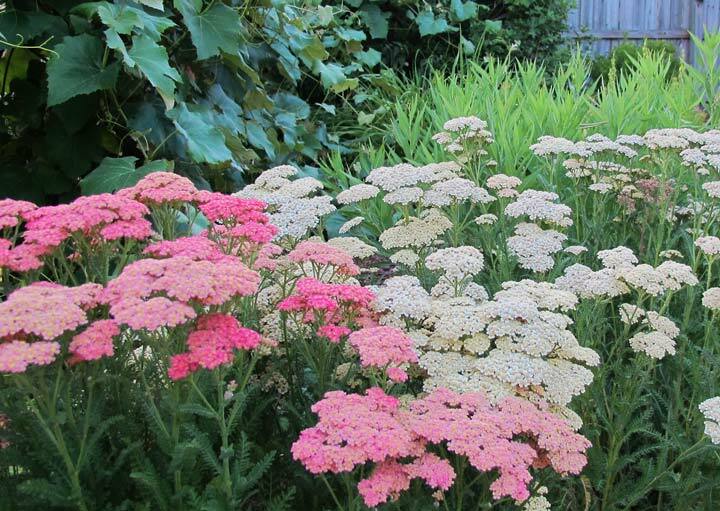 These plants will wilt when they need more water. 15. Asparagus plumosa – This is not a true “fern.” It is good in full to part sun. It has finely textured leaves that rival the beauty of a maidenhair fern, but the lace fern is much easier to maintain.